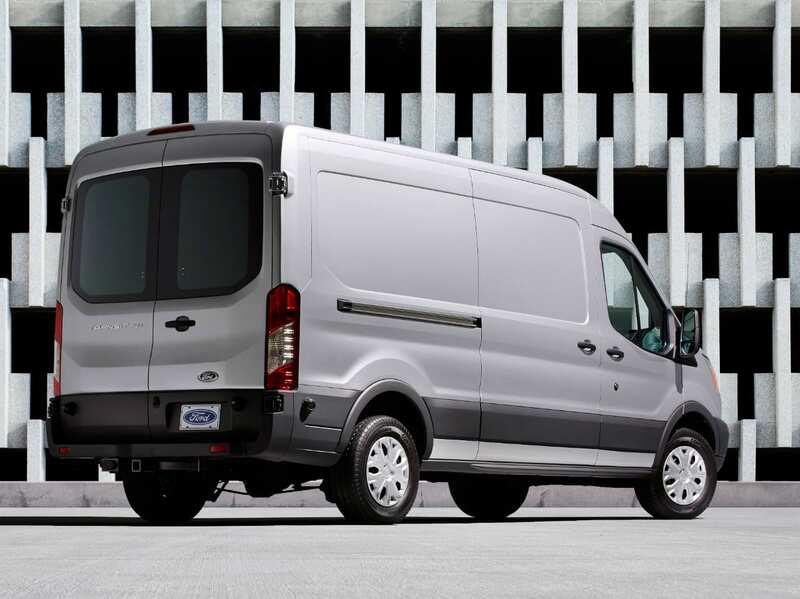 In the United States, 2014’s best-selling commercial van was the soon-to-expire Ford E-Series. During the month of December, specifically, just as it was in November, the best-selling commercial van in America was the E-Series’ replacement, Ford’s Transit. Total Ford full-size commercial van sales jumped 23% in December 2014 as the Transit shot beyond 10,000 units for the first time. Yes, at this time last year the E-Series sold more often, but it didn’t have a competing van alongside. Ford sold 10,030 Transits in December while also selling 5256 E-Series vans. Ford also led the small commercial van category in 2014 with their Transit Connect. 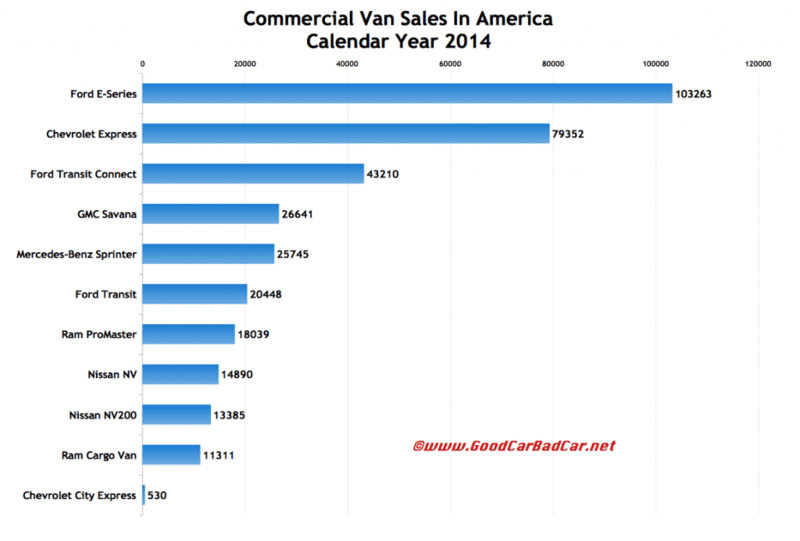 Sales in the category rose 29% to form 19% of total commercial van sales in the U.S. in 2014. More good news for the commercial van sector in 2014: non-Ford sales shot up 29% in 2014. The fresh faces at Ford certainly helped the segment at the end of the year, but this category is booming across the board. You can click any model name in the tables below to find historical monthly and yearly U.S. auto sales data. You can also select a make and model at GCBC’s Sales Stats page. These tables are now sortable, so you can rank commercial vans any which way you like. Suggestions on how GCBC should break down segments can be passed on through the Contact page.